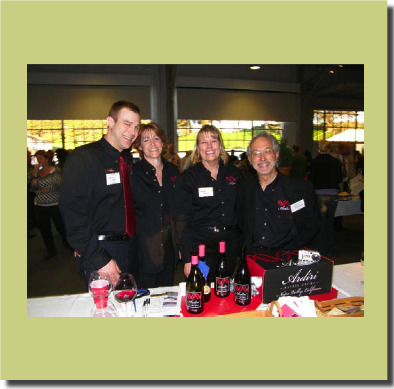 The 7th Annual Pinot Noir Summit will be held on Sunday, April 5, 2009, in San Rafael, California. The Summit is a culmination of the Pinot Noir Shootout which is a focused tasting of 272 Pinot Noirs from around the globe. This comprehensive tasting uses a diverse panel of experts who taste just 32 wines per day, allowing the judges to be completely immersed, focused and fair to the wines. The Shootout also explores the preferences of women versus men. The wines are tasted blind without reference to appellation, vintage or price. Attendees to The Summit taste the top 40 wines blind and can compare their findings to the panel’s choices. This is the only event in which the judges’ conclusions are put to the test by an unbiased panel of wine lovers. The Summit also includes workshops. I will be moderating a panel of newer Pinot Noir producers titled, “Discovering New Pinot Stars.” The four participating wineries are LionHeart, Seawind, Pleasant Valley Vineyards, and Jim Ball Vineyards. The event is limited to 250 pinotphiles and costs $100 per person plus tax. For information and to register online, visit www.affairsofthevine.com or call 707-874-1975.